I enjoyed the second week of Me-Made-May a lot more than the first one, mostly because the slightly better weather gave me an opportunity to wear things I finished a few weeks ago, but were meant to be worn when it’s warm outside. I also managed to take photos of outfits over the weekend, so I didn’t have to worry about getting home before it gets dark, or about deciding what to wear in the morning. I have only worn these trousers on the day when we took photos of them, so it was interesting to see how they work in real life. I drafted them as my final project at the Morley basic pattern cutting course, and I found them rather stiff and tight when I finished them. I still think I probably took out all the wearing ease at drafting, so they are my least comfortable trousers, but they do look fun! I wore my very summery tablecloth dress because there was a chance of sunshine and I wanted to be comfortable. I think I looked as careless as I felt, which may not be the best thing, but I am a firm believer in that if you feel good in your clothes, you will look good too. 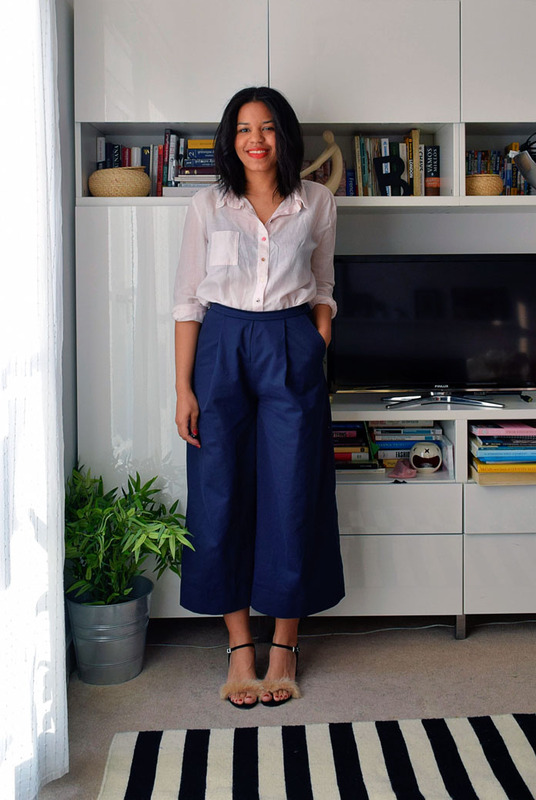 The culottes are the same ones I have been wearing almost every day this month (or at least it feels like that…), and the shirt is something I rarely wear these days. This shirt is one of the first things I’ve ever made and I used some pretty poor quality, loosely woven fabric, so it’s currently dying a slow death. I made this dress for an upcoming holiday, with strolls on a beach in mind, so it’s not quite appropriate for a London school office job. 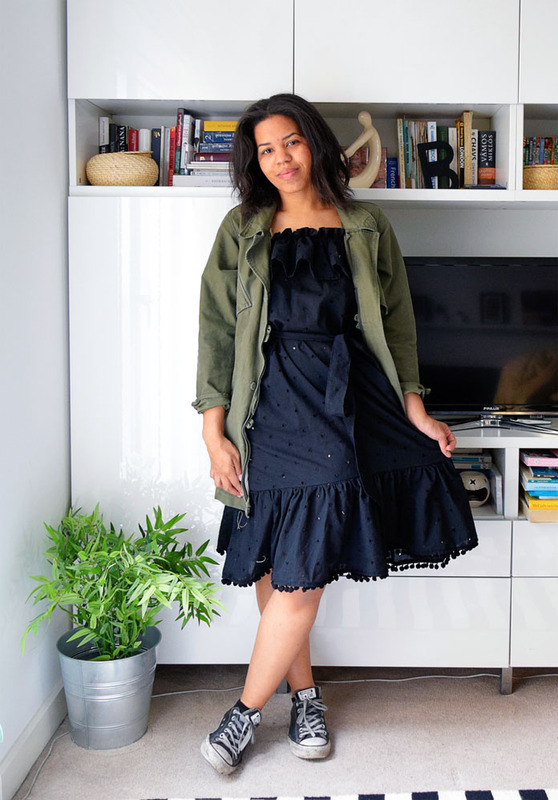 Especially because I can’t really put on a jumper over it, due to all those frills, but I did like wearing it with this jacket. I loved this outfit so much, I wore it twice in a row. 😀 Luckily this synthetic fabric dried super quick, and hopefully I didn’t damage my sister’s sweater from putting it on while it was still wet, but I felt so good wearing it on Friday that I just decided to repeat it for a pretty special meeting on Saturday. On the last day of the week it was super hot in the apartment so I dug out these cut-offs. 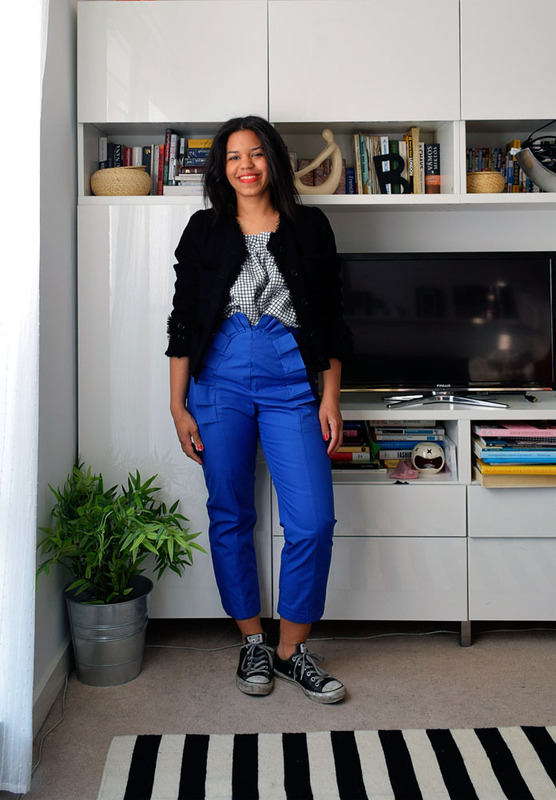 I bought the trousers for £1 at a vintage pound sale, and they were perfect at the waist, but they were too small on my bum, so I decided to cut the crotch bit open (where the front and back meets) and inserted a piece of fabric to make it bigger. I would not normally wear them in public, but they were great for a long day of sewing, baking and pattern drafting. 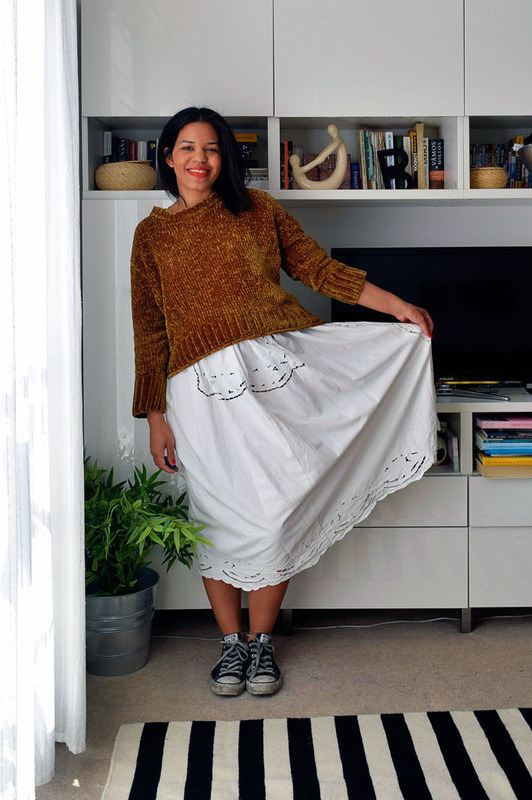 You have made so many of your own clothes! 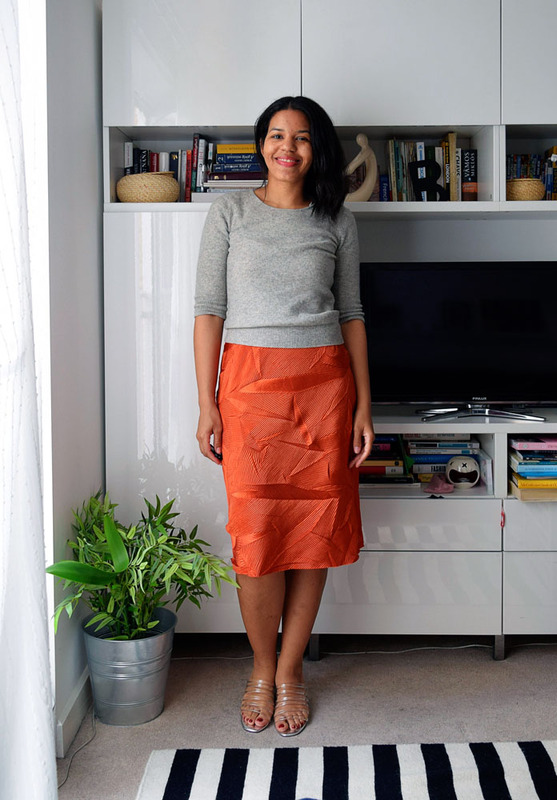 I especially love your day 10 burda makes – I’m really keen to make culottes this summer. That modified slip dress looks lovely too! Day 8 looks so designer and day 14 sounds like a dream!